Last week we explored questions to ask an SEO consultant when you are considering hiring them to help promote your business website. After all, you are hiring an SEO company in Philadelphia to help gain more search engine optimization and you want to make sure you find the right fit for you. There are many, many scammers claiming to be able to get you to number one on the search engine rankings in no time at all. Taking the time to ask important questions and then making an informed decision is your best defense against these scammers and to ensure you find someone who will genuinely help you. Do you have the experience to improve local search results? Appearing at the top of local search engine results is very important to small brick and mortar businesses trying to attract nearby clients so you want a consultant who has expertise in such local SEO techniques. In order to be local in the SEO world, your SEO professional should add your business’s city and state to its website title tags and descriptions and also get your site on Google, Bing and Yahoo’s local listings. Can you disclose current and past clients? A reputable SEO company will be open to sharing a brief list of current and former clients. These are considered references and can help you decide how effective the prospective consultant is as well as provide verification that they did indeed work on specific SEO campaigns. These clients should be able to tell you if they saw a positive impact on their search ranking. What do you consider a successful SEO campaign? SEO professionals should be experienced using Google Analytics to track any improvement on your site’s search engine rankings, the number of links from other websites that drive traffic to yours and the kind of keywords searchers use to find your site, to name a few. It is important that they share these important statistics with you and how they will use the data to continue to improve your search engine rankings and site traffic. What happens if we aren’t compatible? If you decide to go with a particular SEO company and you soon find out that there are too many disagreements between you, you should still maintain ownership of the entire optimized web content that the company delivered, provided that you are paid up-to-date. You may also part ways if you contract has expired but either way you need to make sure that your contract states they will not change or remove any content that they added, modified or optimized on your behalf. Along with last week’s article, you should now have a clear understanding of questions to ask a potential SEO company in Philadelphia that you are considering hiring for your SEO marketing campaign. 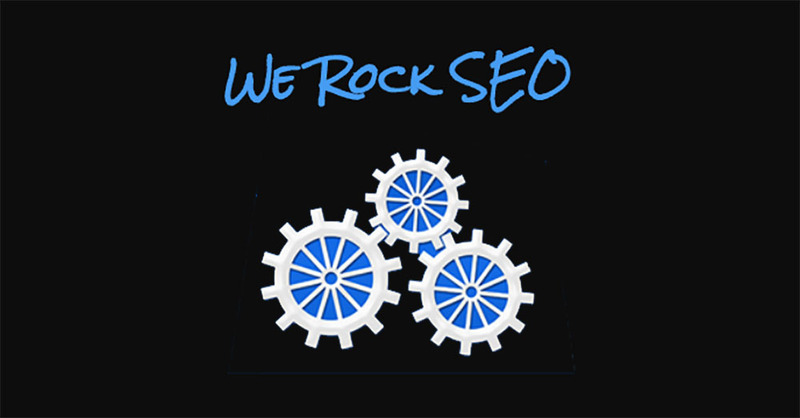 At We Rock SEO, we are happy to answer any and all questions you may have about our business practices. We want you to be confident that we will deliver what we promise and help to get your site ranking high so that you can achieve higher traffic for your business.